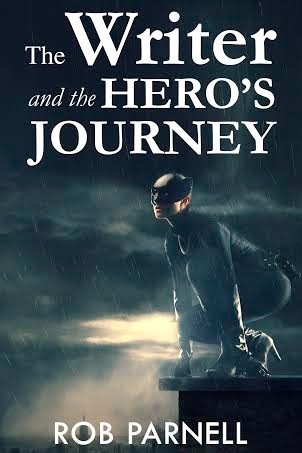 The Writer and the Hero’s Journey is a little deeper and harder to follow than most of your books. The first time I heard about Joseph Campbell’s The Hero with a Thousand Faces, I was sitting in an American literature class taught by David Morrell (of Rambo fame) at the University of Iowa back in the late seventies. It’s a powerful concept to wrap your head around at first, that we all have this innate ability to understand the hero’s journey. Can you give a really short run down about the hero’s journey, and how it can help writers structure their stories? Rob: Thanks for reading The Hero’s Journey book. Currently it’s the one I’m most proud of. I tried to incorporate lots of influences from writers, stories old and new and my own story as a way of ‘proving’ that the hero’s journey concept is alive and well – and very pertinent to the writing of commercial stories. Indeed, as you imply, Rambo is another ideal example of the hero’s journey, as is Rocky, of course. Basically, the idea is that you take a normal person and thrust them into a series of increasingly difficult tests in order for him or her to gain wisdom and in the process, become a hero. Clearly this loose structure lends itself to the old idea of placing obstacles in the way of protagonists in order to provide an entertaining story. The hero’s journey structure just formalizes this process – and explains why a story needs to be told this way to be truly satisfying and meaningful. When it comes to movies especially, a hero’s path and decision-making must be entirely believable. The hero’s journey taps into the human condition, thereby allowing the audience to follow the hero, identify with him or her and completely relate to the character. This must happen for the story to be successful, IMHO! In The Art of Story, you say “we don’t communicate through words…We actually communicate with our senses – in pictures, sounds, smells, and other physical reactions to stimuli – and, most importantly, with emotions.” Why is that such a hard concept for new writers to understand? Can you suggest a way to naturally connect with those emotions in everyday writing? Rob: If this is a tough concept to understand it’s because we do it to ourselves. We learn to write believing that the words themselves have power and we expend a lot of energy trying to make the words work for us. But the more you write you realize the words are just the tools we use to express ideas and emotions. We need to get past the words – and really get to grips with what we’re trying to describe effectively. It’s a process of undoing what we’re taught. I guess that’s why it seems like a difficult process. The best advice is just to write more – and try not to think too hard about the words. Concentrate on feelings, images and ideas first, and then write quickly. Then edit to clarify the images and meanings rather than obscure them through literary verbosity. Another concept you write about in The Art of Story is that “To become an effective author, you’ll need to be take ideas and develop them. The trick is to not write ideas down in concrete form too soon.” I find most of my better ideas develop naturally when I let them fester in my brain for a while. A lot of times I’ll wake up at three or four in the more, and the developed idea is there waiting for me to pound it out on the computer. Is that what you’re getting a here? Rob: Yes, it’s good to wait until you feel a sense of ‘completeness’ and ‘symmetry’ to your inspiration before you commit to finalizing the idea in writing. Mainly because we tend to love what we write and don’t want to mess with the words – even if the concept isn’t fully developed yet. This can lead to blocks because you don’t want to screw things up and start again – even when that might be the best route to take. Developing ideas in your mind first is just about saving writing time in the long run. One of the things you talk about is to illustrate story-beats with action. Could you elaborate a little more about story beats? A lot of authors talk about developing story-beats. What exactly are they, and how can authors use them to make their stories more compelling? Rob: Ah, the big question! What each of us regards as a story beat is inherently personal. It’s usually based on a feeling of what will make good plot point. If you write a series of dot points that might sum up your proposed story, for instance, each of those dot points will be a story beat. In novels especially a story beat may just be the way a protagonist feels at one particular time. In screenplays the story beat is a more formalized idea. Usually a slight emotional turning point in the text, or an event that sparks a reaction in a character, right up to the bad guy setting off a bomb or shooting someone. Story beats can be any of these things. The point of story beats is to increase empathy by manipulating emotions in the reader or viewer. Effectively ‘showing’ story beats intensifies that empathy. For instance, say you have a girl who is in love with some guy. In a novel she might internalize that emotion, letting the reader know but without ‘proving’ it. That’s passive storytelling. But when the girl touches the guy unexpectedly and says ‘I love you’ you’re showing that beat with action and the reader feels a jolt of emotion – and empathy – because the story beat ‘tugs’ at the reader’s own experience of being in the girl’s shoes. I hope this makes sense of the issue a little. It’s a complex one. If you want total overkill on the subject of story beats, I recommend you read Story by Robert McKee. When you talk about plotting, you say “Best-selling novels tend to have very simple ideas at their heart.” One example you gave was The Da Vinci Code. The premise of the story was, “What if the Catholic church was based on a lie?” Or with Harry Potter, “What if a normal school boy was secretly a wizard?” Should your plot really be that simple? Rob: To be fair, I’m not sure many authors work this way round. Sometimes it’s very hard to encapsulate our ideas into natty little sound-bites, even though it’s become increasingly necessary for us to do so. I think the notion I was trying to get across is that when you have an idea that can be neatly expressed in one sentence, it’s more likely the book might become a bestseller. It’s not that the premise need be simple, only that the encapsulation of it should be intriguing in as few words as possible! In The Easy Way to Write Thrillers, you make the point that genre dictates the way authors need to write the story. You say, “The problem with many of Sherlock Holmes’ stories is that the reader is sometimes presented with solutions they could never have guessed. Nowadays that’s not playing entirely fair.” One thing a lot of new and experienced writers do is blur the lines between genres, or break the implied rules of their genre. How big of a problem is that? Rob: I’m impressed that not only have you read my books but that you can quote from them so thoroughly! Sometimes it’s hard to appreciate what impression your words are going to make on readers, so it’s nice to know someone’s taking notice. Thanks for that. Anyway, I think blurring the lines between genres is healthy. For too long the traditional publishing industry has told us we can’t do that. I don’t agree. I think readers are much more savvy and flexible than they’re often given credit for being. At the end of the day it’s about context and what is believable. As long as the author goes out of his or her way to deal effectively with the story world in a way that doesn’t threaten to undermine the reader’s ‘willing suspension of disbelief’ then almost anything is acceptable. Much of the time it’s about not messing with the reader’s expectations too much. So if you’re writing a gritty urban crime thriller, then you don’t want to suddenly introduce a magic time portal that enables the detective to solve the case at the end. However, if the reader knows right up front, that a detective uses his magic time portal to solve crimes, then that’s acceptable. Another concept you talk about is character development. “Characters are the backbone of any thriller. Get them right, and you’re half way there.” Then you suggest “archetypes are instantly recognizable character ‘types’ ingrained deep in our subconscious through experience, dreams, and instincts.” Can you talk about this for a minute? How important are archetypes to character development? And, how can an author use archetypes to draw readers into their characters and make them more believable? Rob: The best characters are a combination of archetype and credible personalities. Too much focus on one facet and you’ll end up with something either wooden or too confusing. It’s a bit like the way we deal with people in the real world. Our first instinct is to ‘type’ people, something we do as a survival instinct. We need to classify people quickly as either friend or foe, good or evil. Then we look deeper. We look for humanity to confirm or deny our initial impressions. Then we learn to love or hate the people we study. If you use the same process when creating fictional constructs, you should end up with believable characters. Finally, is there anything else you’d like us to know about Rob Parnell? Rob: Hmmm. Not sure. I think I put a lot of myself in the books I write, some people might say too much! 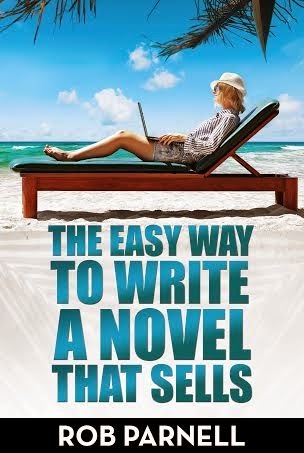 I’m just trying to help writers see that there might be solutions to all the big and small writing questions, especially in the area of achieving monetary success. I’m also very keen on music composition and filmmaking. Creativity generally. If I had to pin down a legacy, I’d like to be known as the guy who tried to inspire people to become more confident in their abilities, and not be afraid to feel empowered through creativity. I think our future lies in learning how to be independent artists that literally use our minds to create a better world. Rob Parnell has been writing fiction since he was five years old. 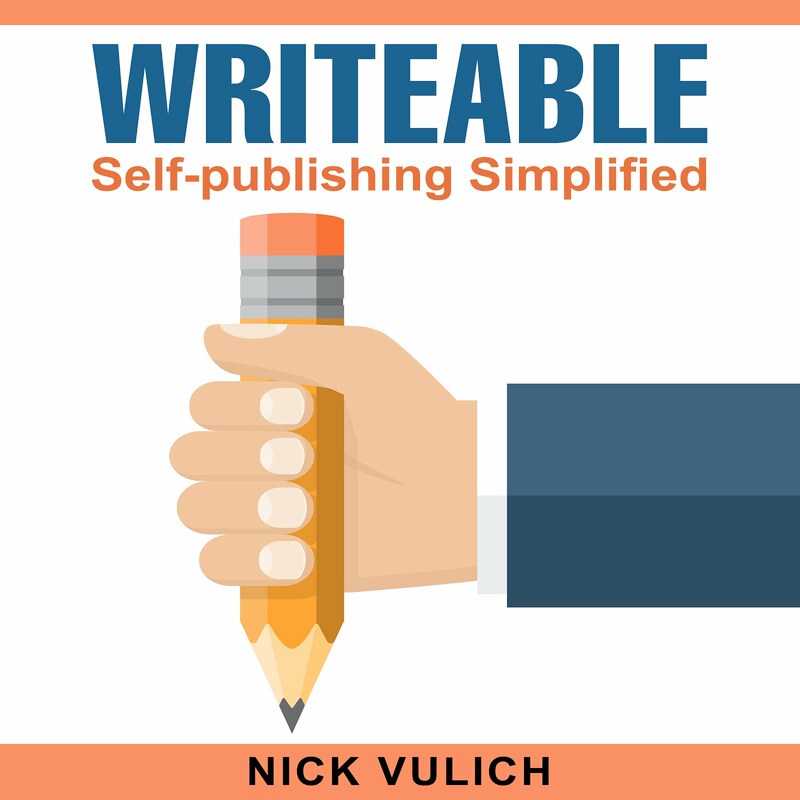 Born in Winchester in the UK, he lived for a long time in London, pursuing a music career until, suitably chastised for his impertinence, moved to Adelaide, Australia, where he now teaches writing and success strategies to his many thousands of subscribers. 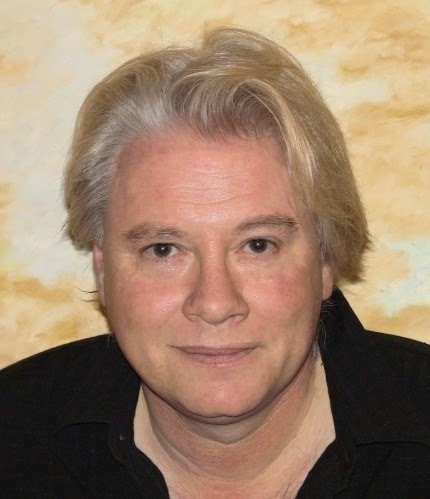 His preferred genre is the thriller - sometimes with a supernatural edge - in which he writes short stories, graphic novels, YA novels and adult thrillers. Rob has also written over 40 non-fiction self-help titles and been published all over the world for the last ten years. Also a composer, singer, music producer and budding movie maker, Rob is ecstatically happy to be married to Robyn Opie Parnell, his savior, and the popular bestselling children's author. Visit Rob Parnell's author blog to receive weekly installments of his next super-charged thriller, The Essene Heresy. You can checkout Rob’s books by visiting his Amazon Author page.